Successfully Added Executive Flip Clock - Original Desktop Timepiece to your Shopping Cart. Executive flip clock with a nice retro inspired design. Counting down the hours and minutes has never been so much fun! This is a worthy time piece for any desk or tabletop, and is sure to draw extra notice for your unique style and taste. 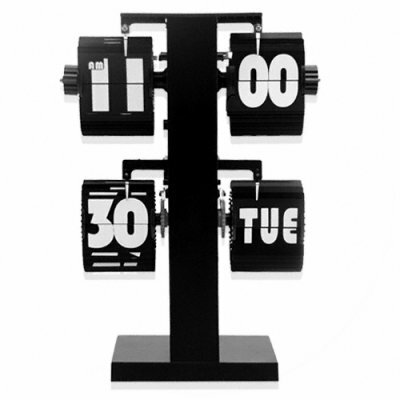 Liven up your workplace, desk, or reception area with this unique timepiece. Another great product available to you at a low wholesale price from the leader in no M.O.Q. (no minimum order quantity) Chinese electronics, Chinavasion. Time and date display with style. work perfectly and very exactly!!!! Look cool at my desk and all my mates says "Wowww... It's working?!?!?!?! what a funny thing!" With this clock you always will be at a time!!!! !